North Shore Commercial Door is your source for high-quality TODCO truck door parts. TODCO is a leading brand in overhead roll up doors, swing doors, roll up shutter doors and walk ramps for truck bodies and trailers. They build innovative door solutions for trucks that meet the growing demands of today�s shipping industry. Today, there are more TODCO dry freight and refrigerated overhead doors and swing doors on the road than any other brand. We carry a variety of TODCO door parts including replacement locks, latches, hinges, rollers, counterbalance parts and lubricants. Our truck door replacement parts ensure that your TODCO door will always be working perfectly, making shipping and trucking items a breeze. Properly working truck door parts are essential to any shipping business and replacing broken or damaged parts is an affordable alternative to installing a new door. To minimize delays in your shipping and trucking business, North Shore Commercial Door offers same day shipping on hundreds of items, so you can get the parts you need quicker than you ever thought possible. Shop North Shore Commercial Door for all of your TODCO truck door part needs. 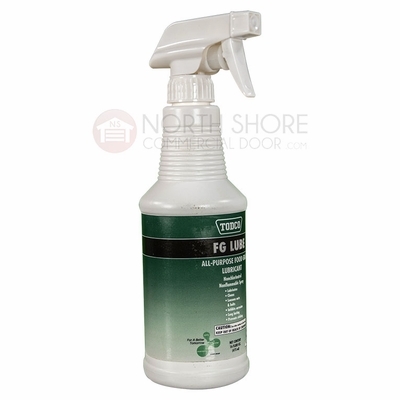 If you don't see the part you're looking for, email us at support@northshorecommercialdoor.com or call 440-365-5707. We offer the lowest prices on the net, same day shipping and free technical support. Order today and get the parts you need to get your truck back on the road.